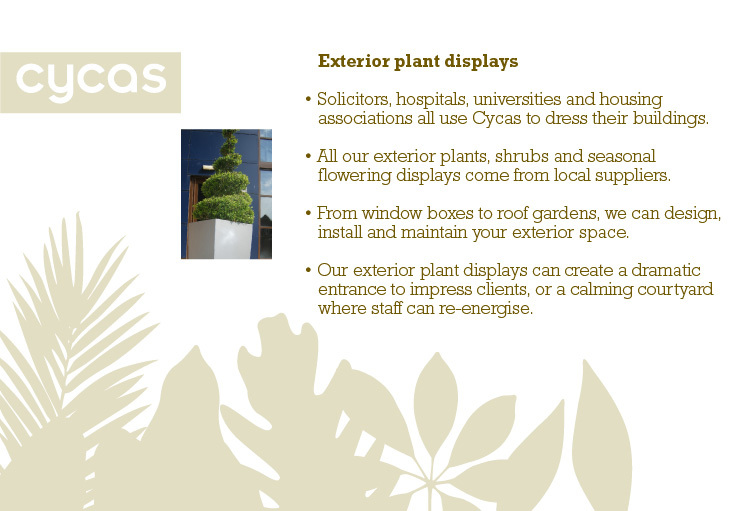 Cycas Exterior plant displays Solicitors, hospitals, universities and housing associations all use Cycas to dress their buildings. All our exterior plants, shrubs and seasonal flowering displays come from local suppliers. From window boxes to roof gardens, we can design, install and maintain your exterior space. Our exterior plant displays can create a dramatic entrance to impress clients, or a calming courtyard where staff can re-energise.